Welcome to the Arid Pyramid. These plants have adapted to harsh environments and can survive dry air, irregular moisture, wide day and night temperature fluctuations and sandy or rocky terrain. Please start the tour at the pyramid entrance. This map illustrates the two major arid biomes. Look left to see some agave plants. 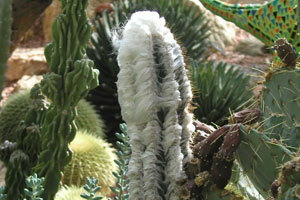 Look left to see the woolly torch cactus. 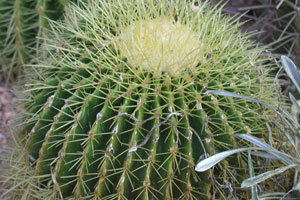 Like many cacti in the Arid Pyramid, the wooly torch cactus has a green stem. Why do you think that is? Look behind the woolly torch cactus to see the golden barrel cactus, which has also adapted to survive without much water. Extracting water from this plant is more effort than it’s worth; stored water is tightly bound to flesh of cactus and can’t be easily squeezed out. 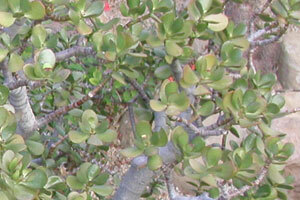 Look at the jade plant and learn about another way plants store water. 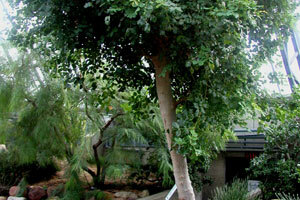 Look to the left of the jade plant and you will find the elephant foot tree. Can you find the plants that look like the following objects? 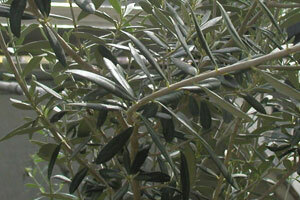 Look behind the carob tree to see another Mediterranean plant, the olive tree. Look to the left. 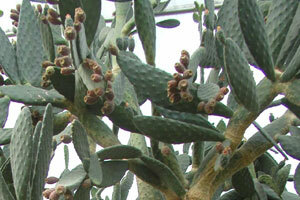 You will see Prickly Pear, another plant that produces fruit. 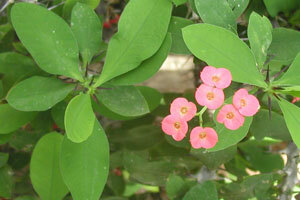 The plant produces a flower, followed by a red fruit called a ‘tuna’. Look across the path to your right. 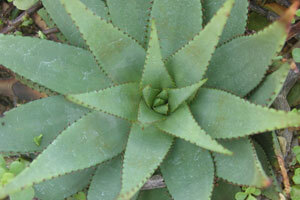 How many species of Aloe can you count? Legend has it that after Alexander the Great conquered Persia, his tutor, Aristotle, advised him to seize the island and secure the source of aloe. Look to your right to find the crown-of-thorns, a plant that is not as friendly to touch as the aloe. 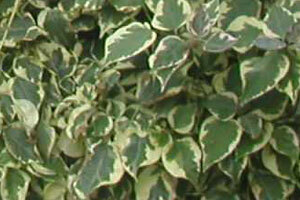 May resemble a cactus, but it is actually a type of Euphorbia or spurge, and in the same genus as poinsettias. Look at the red roof where you will see the paper flower. Although many people picture deserts as hot, dry places that never change, plants that live in the arid biomes of the world must adapt to large variations in water availability and temperature. 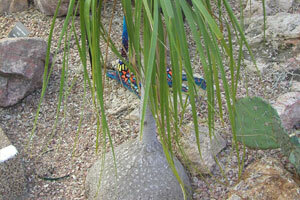 We look forward to you returning to visit in a different season to see the growth changes in our arid plants. To make food! The leaves are modified to form spines so the stem must now take on the role of photosynthesizing sugars. 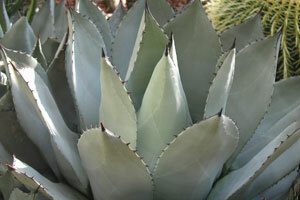 Thank you for visiting the Muttart Conservatory and learning more about the Arid Pyramid. There are more QR Code tours available in each of the pyramids. If you would like to take part in a guided tour of the pyramids, please visit on a Saturday or Sunday when we have scheduled drop-in tours. Please visit the Muttart Conservatory website and Facebook page for up-to-date information on upcoming special events and information about the facility.